Great value for money. Excellent location. Rooftop terrace! Quiet. Very close to the attractions. Bed is made and towels replced everyday. 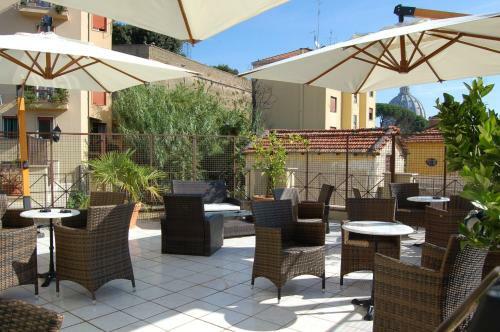 The location was excellent with easy walking access to the train station and all other things to see and do. The extra small room for a meal and a meeting. It was a chance to chat with each other. Very convenient location, outside of the Vatican walls. Very safe neighborhood to come and go at night. Good value for money, good breakfast. Nothing fancy in the rooms, but clean and pleasant. Bring your own toiletries. Staff pleasant and accommodating. It was clean except for the mold in the shower, clogged drain. The room had an extra room attached to it and a small kitchenette. Little room did not have airconditioner, but that was okay. We were very happy to stay there. The rooms were spotless, and so was the restroom. Situated just near the Vatican, so it takes 10 minutes to visit this history place, so other places. The location of the hotel was great. The staff was very nice. Property was clean. 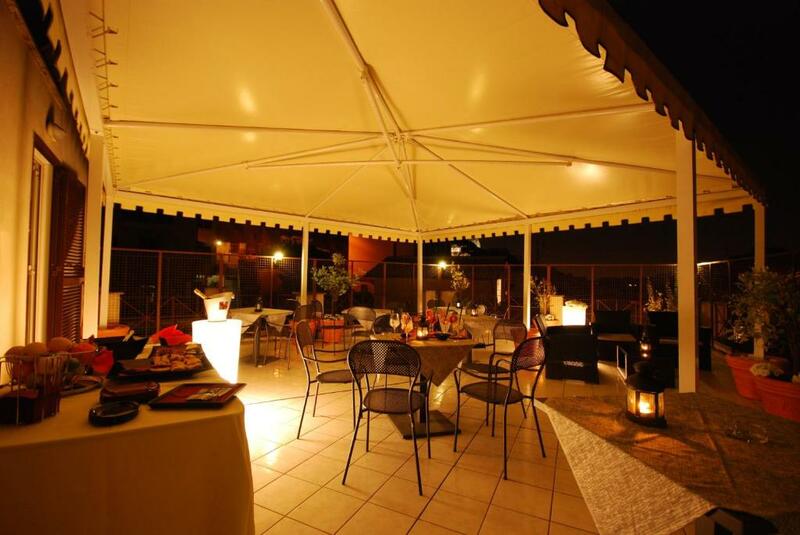 Staff was friendly, I liked the rooftop bar and view, the location was easy access from the Termini train station and there are some good restaurants near by, and breakfast was decent. 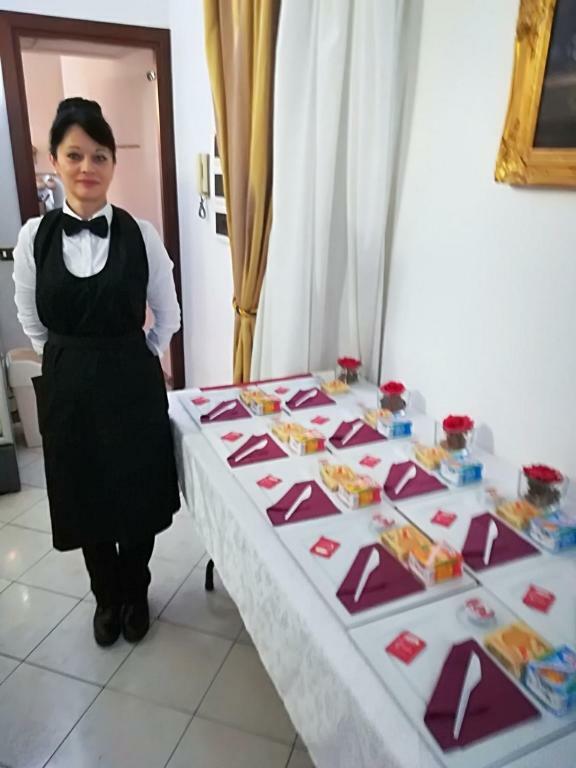 Hotel Residence Vatican Suites This rating is a reflection of how the property compares to the industry standard when it comes to price, facilities and services available. It's based on a self-evaluation by the property. Use this rating to help choose your stay! The right bank of the River Tiber, is home to some of Rome's most characteristic neighborhoods. 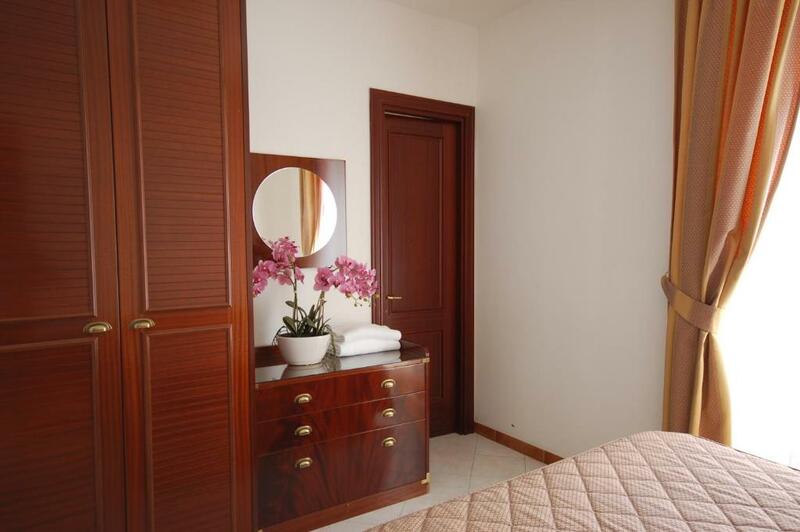 Hotel Residence Vatican Suites offers individually decorated accommodations, 2,450 feet from Saint Peter's Basilica. Enjoy freedom, independence and comfort at the Vatican Suites, a great alternative to the usual hotel. 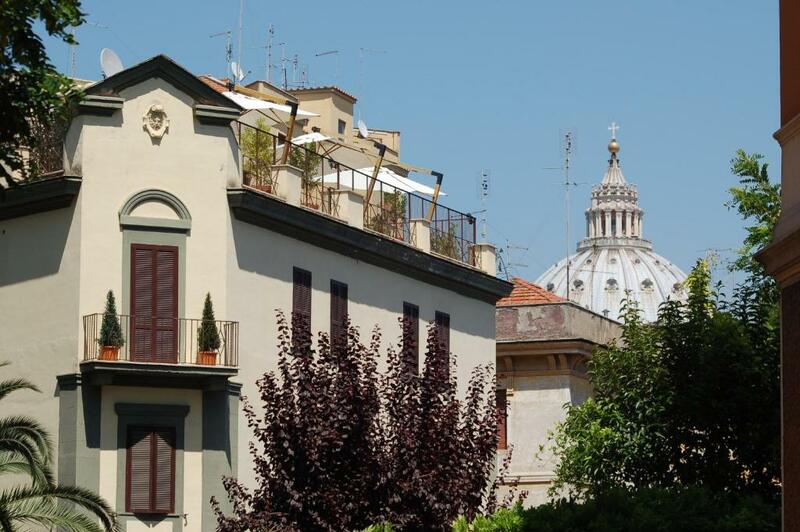 The residence also features an attractive terrace overlooking Saint Peter's Basilica. The rooms at Hotel Residence Vatican Suites are 3,100 feet from Saint Peter's Square and just 1.1 mi from the Vatican Museums. The nearest metro station is Cipro (Line A), 0.6 mi away. 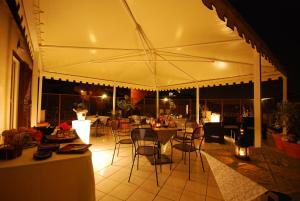 When would you like to stay at Hotel Residence Vatican Suites? This air-conditioned room features free WiFi, a satellite TV and private bathroom with hairdryer and bath or shower. This air-conditioned room features free WiFi, a satellite TV and refrigerator. The private bathroom includes a hairdryer and bath or shower. This air-conditioned room features free WiFi and a satellite TV. The private bathroom comes with a hairdryer, free toiletries and bath or shower. This single room has free WiFi and a satellite TV and private bathroom with a hairdryer and shower. House Rules Hotel Residence Vatican Suites takes special requests – add in the next step! Hotel Residence Vatican Suites accepts these cards and reserves the right to temporarily hold an amount prior to arrival. The front desk is open every day from 8 am to 8 pm. If you are due to arrive outside of these hours, please contact the residence directly, using the details supplied on your confirmation email. Please note use of the kitchen and kitchenette is free only for weekly stays. For shorter stays a fee must be paid. Heating in water was temperamental, switches to cold water very easily within 5 mins of showering. Our room in the ground floor had moisture around windows and in general it felt moist. 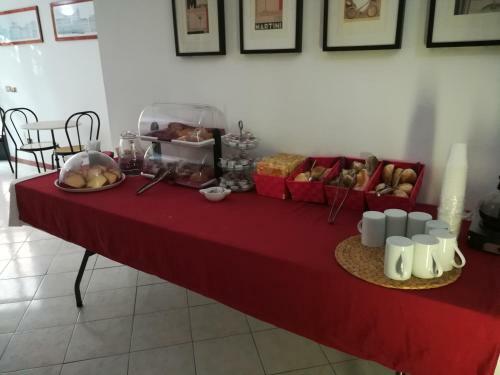 Breakfast was ok, but very monotonous - croissants, muesli, milk, just. For me the breakfast was perfect because I love sweet things like cakes and pies, but my husband likes more salty things, so he didn’t have option. Clean room, close to everything, friendly staff. Breakfast was very disappointing, it was a small room which was very awkward walking in as everyone stared. Glasses for juice were dirty, coffee machines were chargeable and the free machine produced hot milk as a latte. Breakfast was slabs of cake, granola in a jar and some stale pastries. We didn’t eat the breakfast and are out instead. The hotel is on a secluded road up a hill which didn’t feel very safe walking back at night. About a 10 minute walk from St. Peter’s square but at least 45/ 1 hour from the Trevi fountain and Spanish steps. Room was very spacious, clean and modern. Plenty of towels, shower gel and soap. 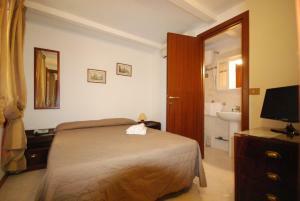 Standard double bed which was fine and very helpful staff on reception. Great location, but very quite, clean. Definitely recommend! There was only sweet cakes for breakfast. The boiler was too small for two person, the hot water was only enough for one bathing. The hotel is recommended, good value for money. Quiet location. At the Hotel Residence Vatican Suites I didn't like that even though wad cold outside we didn't had heat. The breakfast was very light. We didn't have enough hot water. The room itself is really uncomfortable. First of all, the hot water during the shower was available for 5 minutes, then we had to wait cca 45 min to take another round. The central heating was terrible, the room was coldish, and wasn't any carpet on the floor, which made the room even worse. Not even mention the WIFI, way too weak. The host was very kind, the breakfast was copious, the TV did good, and the location is marvelous. Single bed that put together. The closet is too high. The breakfast was all sugary buns etc. The drinks were all from a machine. the restaurant recommended by the hotel was not very good, a better bet was Papa Rex which was super,all within a short walk. 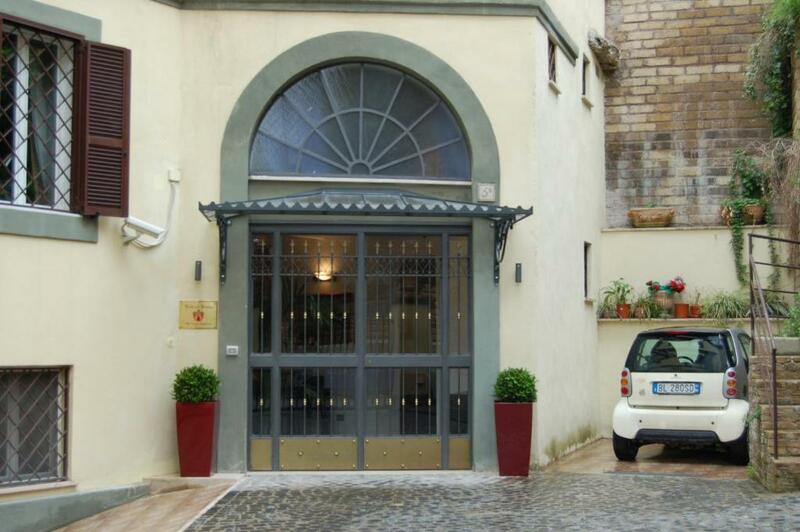 The hotel is 15mins walk from St Peters Basilica.It has a lift to the upper floors. Reception manager very welcoming and reassuring, in that there would always be someone 24 hrs a day to assist if needed, as sleeping night manager always on site. Basic rooms but clean and adequate with fridge. Amazing location - walked into St Peter's Square in minutes, felt safe walking back in the dark. Nearby restaurant outstanding and only a short walking distance. Reasonable walk to Hop on and off buses. Very reasonable rates. Generous, self service breakfast. Roof terrace wonderful addition with the Dome of St Peters Basilica in background.